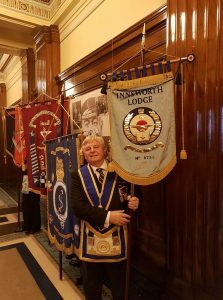 That was the thought going through the mind of WBro Fred Wood as he lined up in the vestibule of Freemason’s Hall, London, waiting to parade the Innsworth Lodge Banner into the majestic, filled- to- capacity Grand Temple. 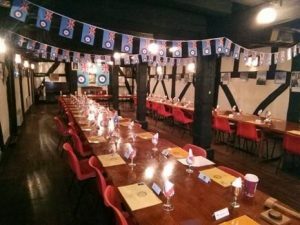 The occasion was the Armistice Centenary Meeting of Victoria Rifles Lodge No 822 held on 10 November to coincide with the ending of the First World War 100 years earlier. 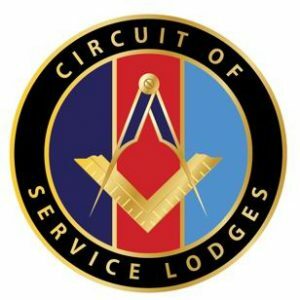 Victoria Rifles is the Installed Masters’ Lodge of the Circuit of Service Lodges and for this special day had extended an invitation to over 1,600 masons drawn from its constituent service Lodges and the Masters of Hall Stone Lodges to join them for this unique Installation meeting. 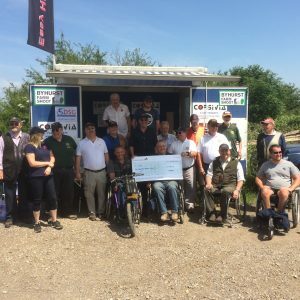 The Pro Grand Master and several Provincial/District Grand Masters were also in attendence. Following a procession of the 37 Circuit of Service Lodge Banners into the Grand Temple, the short formal meeting commenced with a simple proclaimation of the incumbent Master and current officers – all dressed in WW1 uniforms – as remaining in office for a further year. 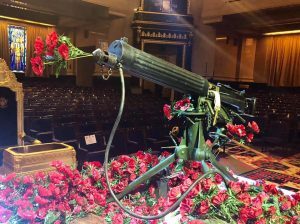 Then followed a commemoration of the ending of the Great War with Simon Callow as compere and featuring songs from the trenches, a sound and light display together with readings from letters and poems of the era. This was followed by the Act of Remembrance and a very moving silent recession where every brother laid a poppy on the centrepiece – a Vickers water cooled .303 machine gun symbolising the moment the guns fell silent. 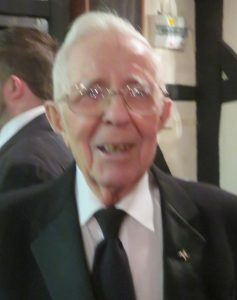 Speaking of the days events, WBro David Wood a veteran of the Royal Artillery and who was representing Innsworth Lodge’s Master said ‘I was moved by the emotion of the event and dignity shown by everyone present. I am proud to have had the opportunity to represent Innsworth on this unique, never to be repeated day in masonry’. His dad, WBro Fred Wood himself an Intelligence Corps veteran, was equally proud to be carrying the lodge banner. He added ‘As I waited at the door going through my mind was that this is the first and most likely the only time that the Innsworth Lodge Banner is processed into the Grand Temple at Freemasons’ Hall and how lucky I am doing so on this special day and into what is our masonic monument of remembrance to the Great War’s fallen’. Innsworth Brethren felt privileged to be present and share with other service brethen this never to be forgotten poignant homage to the fallen. We shall remember them.